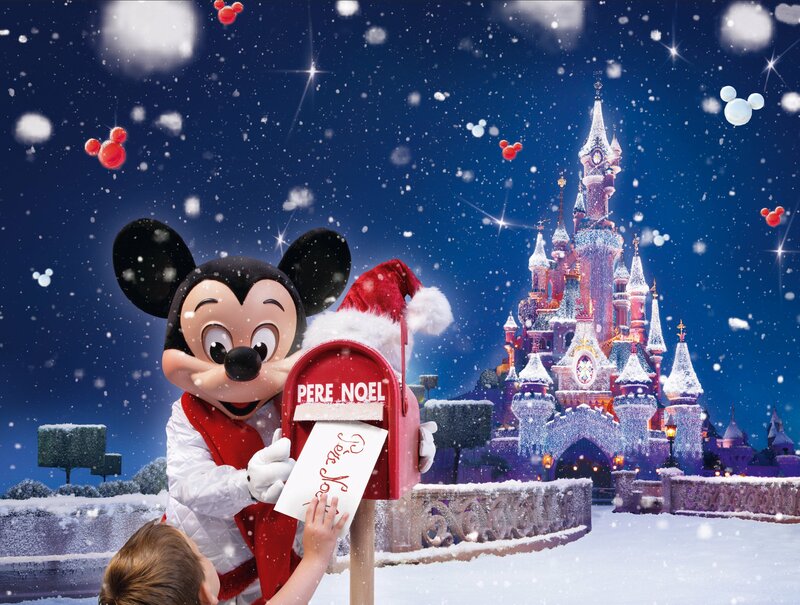 Sleigh-loads of festive magic await you and your family at Disneyland® Paris. Two gift wrapped months are filled with more seasonal stars, magical moments and unforgettable atmosphere than you could ever fit on your wish list. See your family shine among the lights as Santa decks the halls, spectacular shows sparkle and your favourite Disney Characters illuminate the celebration to make this Christmas a very merry must. Decked in dazzling decorations and glittering lights, there's chimney-loads of festive family magic during Disney's Enchanted Christmas. Illuminated lampposts, twinkling trees and the spectacular lighting of our giant Christmas tree beam as brightly as the smiles surrounding them. While Belle's snow-covered Christmas Village transports you to her picture-perfect hometown with a flurry of unforgettable moments. Meet 'n' Greet Mickey and friends in all their festive finery for the merriest magical moments at Disney's Enchanted Christmas. Get snapshots by the sack-load in Goofy Santa Claus' sleigh. Catch the sliding, gliding and singing of Mickey's Winter Wonderland. And meet Duffy - Mickey's new teddy bear - to celebrate his arrival at Disneyland® Paris and share his furry first Christmas. Santa's comin' to town for an unforgettable Christmas and can't wait to Meet 'n' Greet your family in Santa Claus Village. At the Post Office, whether you're naughty or nice you can send St Nick your wishes. Or see him live as he joins the stars in Disney's Once Upon A Dream Parade, only at Disneyland® Paris. 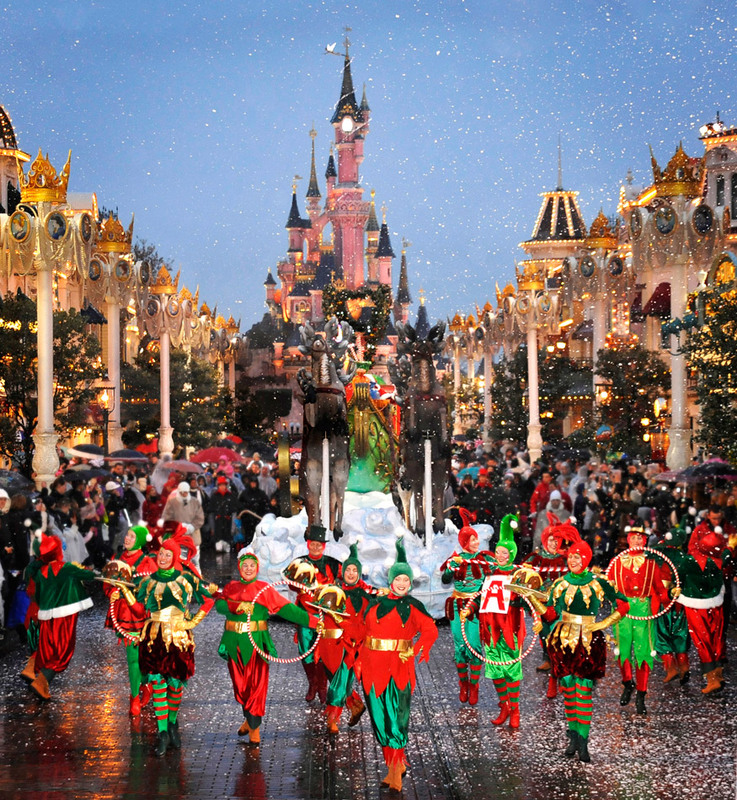 Disneyland Paris has festive entertainment all wrapped up in Disney's Enchanted Christmas! Your family's faces will glow as our Fantillusion parade blazes through the evening. Share the sights, sounds and celebrations of 'it's a small world' as you embark on a cruise through end-of-year traditions from across the world. And catch Princess Aurora's Christmas Wish, the only show to capture all the unforgettable moments of Christmas with a single wave of a wand. Where the magic takes you after? Only your Christmas spirit can decide. It's a date! Make sure you book for your party, to end the year in a truly unforgettable way. Special dinners with Disney Characters, Christmas lunch or dinner and New Year's Eve dinners, get ready for a journey into a wonderful world of lights & spectacular decorations!